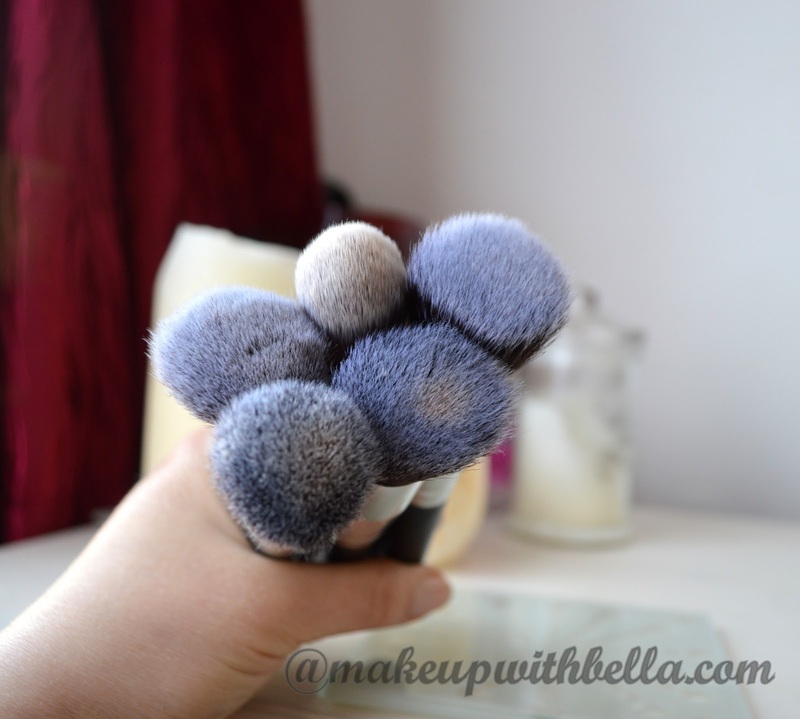 Makeup with Bella: The 10pcs Make Up Brush Set review- eBay! The 10pcs Make Up Brush Set review- eBay! 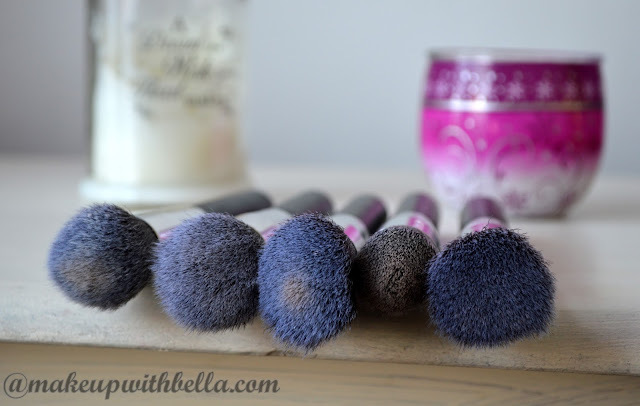 I've been needing to buy some more new makeup brushes especially a foundation brushes- there are never too much due to the fact that I wash my brushes after every use. I started my search on eBay and was looking for something affordable and cheap. Then mainly after watching a few video review on YouTube, I've made the decision to buy them. But are they all worth the money? ? I thought I will give them a go and try to see how they compared to my current brush collection. The price is just amazing, I paid about £6.00 for set of 10 pieces. Shipping is free but takes up to 20 days, so if you're in no rush but want a set of bargainous brushes, then definitely check them out. As I mentioned above, I bought my brushes on eBay from this seller and they've so many different sets and colors on there, so make sure you have a look around before purchase as you can find some with pink handles or gold ferrules. There are five face and five eye brushes in the set, all duo fiber and all differently shaped. They're all made with synthetic hair and each one is dense, sturdy and soft at the same time. 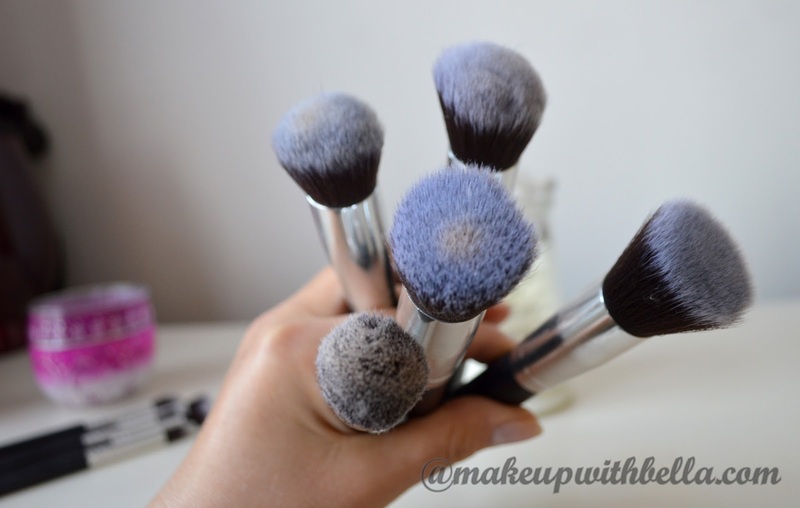 First I need to mention that all the five face brushes I use for cream and liquid foundation or for counturing the tapered pointed kabuki brush only. I couldn't find other ways to use them like for powder, blush or highlighter cause they don't blend the product well and leave the ugly looking stains on the face. As a plus the handles are sturdy and full size with the ferrule made from strong aluminum and washing them is a big pleasure as well. If it comes about eyes brushes I haven't found much use for them. If we want to do quick and minimal daily makeup they are fine, but if we need to create more precise eye makeup we are forced to use some brushes of better quality. But the precision tapered kabuki brush works great with for stippling/blending under eye concealer or for applying cream eye shadows on the lid. I couldn’t believe the quality for such good bargain. So in saying that, my verdict? Yes. I will definitely be using these again. 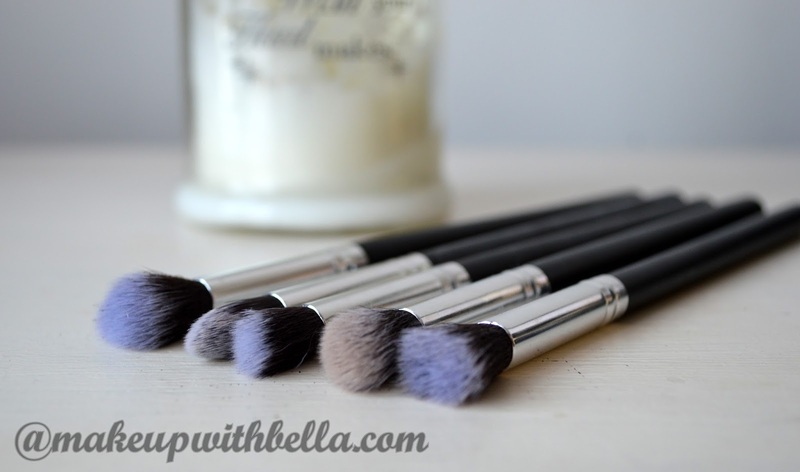 I may not use all of them constantly but the face brushes are definitely useful for applying the foundations. 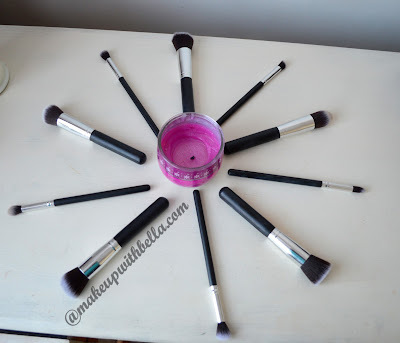 And for such a low price of 10 pcs makeup brushes what more could you wish! 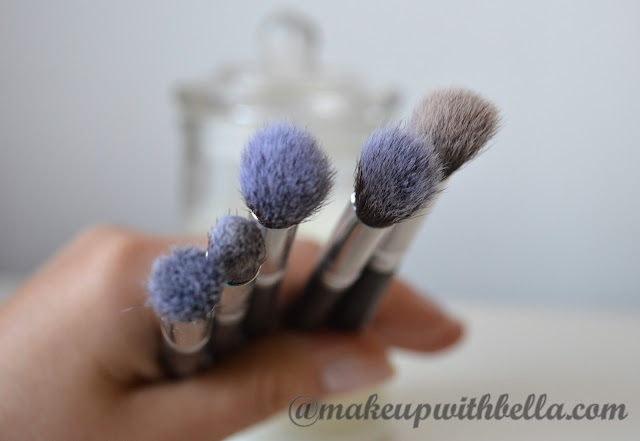 I wonder whether you use or has used the brushes from eBay, if so, what are your opinions? * All my opinions are based on a personal experience, and are not sponsored. I bought them nearly a year ago and I still have them. I was impressed with some that I actually ordered a second set shortly afterwards. I think face brushes are great. I don't use the "eye" brushes as they are too big for my socket. I used them for a concealer briefly but I wasn't impressed at all. Face brushes tho... I much prefer them to blend my foundation to RT brushes ad in my opinion RT smudges liquid foundation. If it wasn't for a sponge I would use them more but as I now blend everything with sponge. FACE CHARTS- What is it about?